Friday 29th April 2011 was an historic occasion in every way. Not only were we swept away with the fairytale wedding of Prince William and Kate Middleton, but Golden Goose PR had a particularly wonderful story to tell that day. Robinson Pelham, our jewellery client of four years, had been asked to make what has to be the most important royal jewellery commission of our generation: the wedding earrings for HRH the Duchess of Cambridge, as well as jewellery for all of the Middleton family. 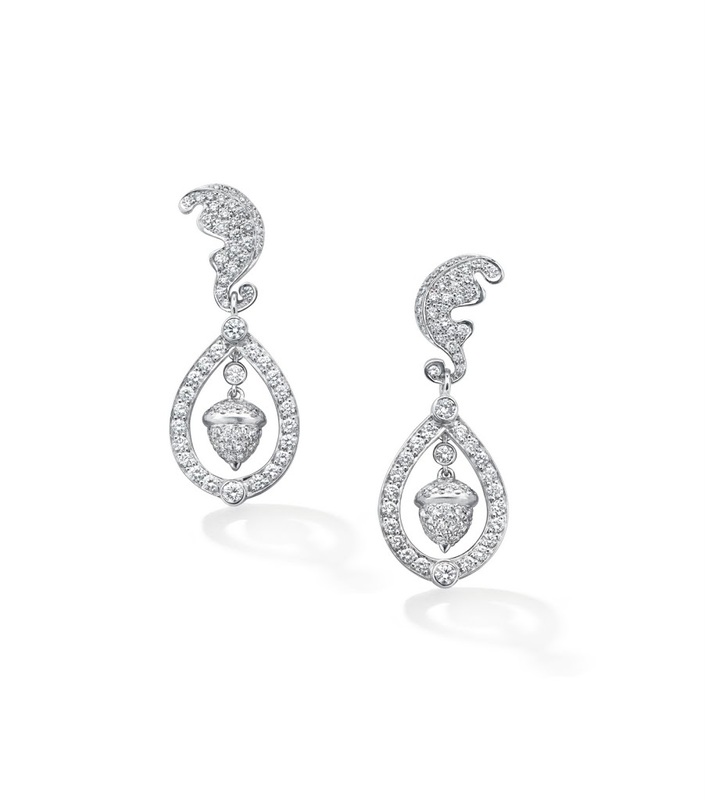 The collection included the most beautiful diamond earrings for the Duchess of Cambridge, with diamond set stylised oak leaves, a pear shaped diamond set drop and a pavé set diamond acorn suspended in the centre. Miss Philippa Middleton, bridesmaid to her sister, wore diamond earrings with a more floral design to compliment her headpiece worn during the wedding ceremony. 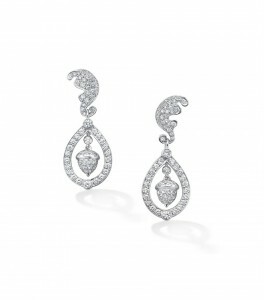 A tourmaline and diamond pendant and matching earrings were designed and made for Carole Middleton. Two gold stick pins, one with a single gold acorn at the head and the other with an oak leaf, were also worn by the father of the bride, Michael Middleton and the bride’s brother, James Middleton. Inspiration for this bespoke collection came from the family’s new coat of arms which includes acorns and oak leaves. It was an absolute privilege to work with the global media on behalf of Robinson Pelham to ensure that they had access to accurate information about the commission of the jewellery, as well as images of the earrings that Philippa and the Duchess of Cambridge wore on the day. Golden Goose PR joined the world’s press in the media centre opposite Buckingham Palace to comment on the day’s events for the BBC World Service and France 24. There was no better place to be on the day than in front of the palace for the highly anticipated first married kiss. We wish the newlyweds so much luck as they start married life together.